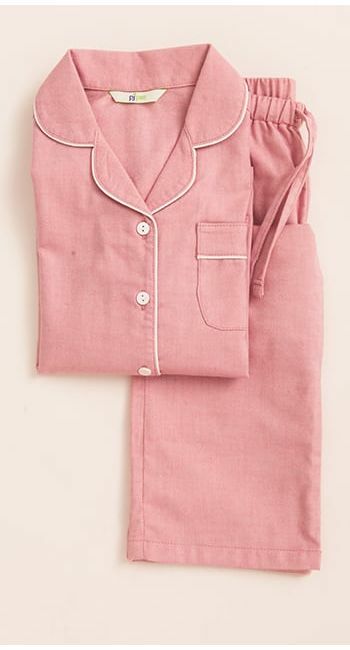 A pretty addition to our plains collection - these powder pink brushed cotton pyjamas are available in both regular and tall giving tall girls extra inches on the legs, jacket and sleeves. Beautifully soft brushed cotton finished with real shell buttons and cream piping. We have one L Reg pair of pyjamas which has been deemed as a factory seconds (small fabric fault) so please contact us if you are interested in this at a discounted price.